For the first time Mission for Vision heads westward to join forces with Missionary Ventures in Guatemala. The team were invited to work in a clinic located high in the moutains north of Guatemala City in the town Nebaj. Although the region was poor, society had reached a position where better education was becoming available. For this reason the eye clinics were extremely relevant as the visual demands were becoming greater. The team consisted of 3 optometrists, 2 dispensers and 3 screeners. Nebaj, in a beautiful area situated in the highlands north east of Guatemala City, is a town that was in the centre of the conflict in the 1980s. The people speak mainly Ixil, so a triple translation was used from English to Spanish to Ixil. 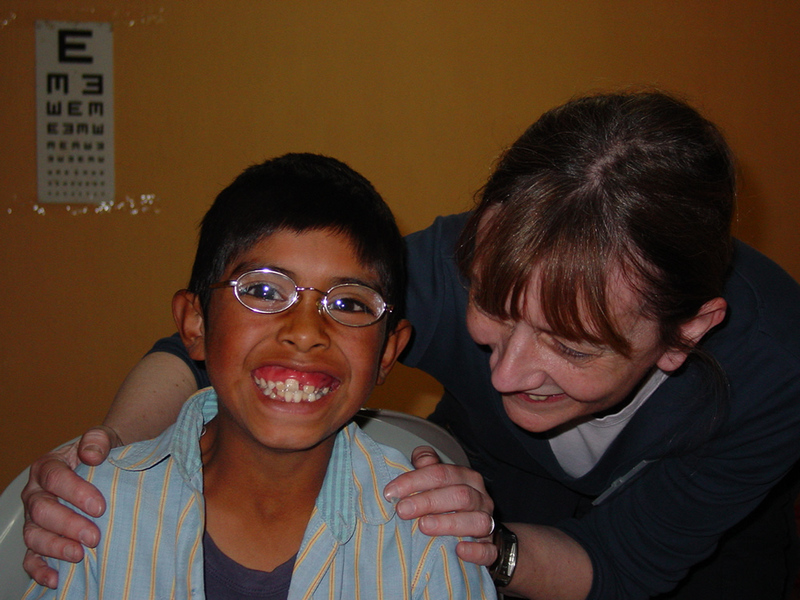 We worked out of a clinic called 'Clinic Vida and Esperanza', run by Missionary Ventures. The area is one of the poorest in Guatemala but not as poor as those in some of the African countries we have visited. There were no optical facilities for several miles and the need was great. Many had corneal diseases and the majority needed glasses. On the last day we went to a village high in the mountains called Sequille Grande, where we ran a clinic before joining in a church service in the afternoon. On the way back to Guatemala City we rested for a while in Antigua, which is a pleasant Spanish colonial town an hour from the city and a great place to buy souvenirs. Many thanks to Missionary Ventures for the excellent organisation and hospitality and we hope to return one day.